Hi! My name is Ashley and I am a boondocking addict. It all started 3 years ago with a simple invite to camp with some friends on the edge of the Virgin Dam just outside of Hurricane, UT. We loved it so much that we made it our mission to camp off grid as much as possible. We started by selling our huge 5th wheel (it was too heavy, too long, and too tall for the majority of the places we wanted to go). 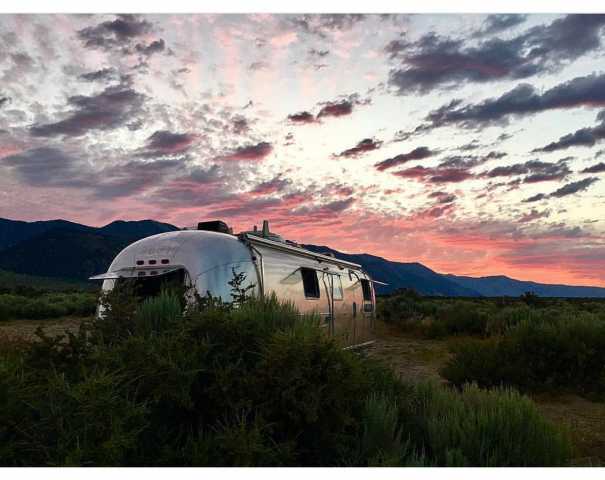 Then we purchased a 45 year old Airstream and completely renovated it for off grid living. Composting toilet, extra gray tanks, 500 watts of solar on the roof and 400 amp hours of lithium batteries. We were set! I’ll never forget pulling up to some BLM land in New Mexico with our freshly renovated Airstream for the first time. It was pure magic! No one around. Just us, the stars and the coyotes singing their nightly songs. The cool breeze blowing throughout the trailer all night and the warm sun kissing our cheeks in the morning. It was pure magic. This is the life we had dreamed about. This was everything we wanted. 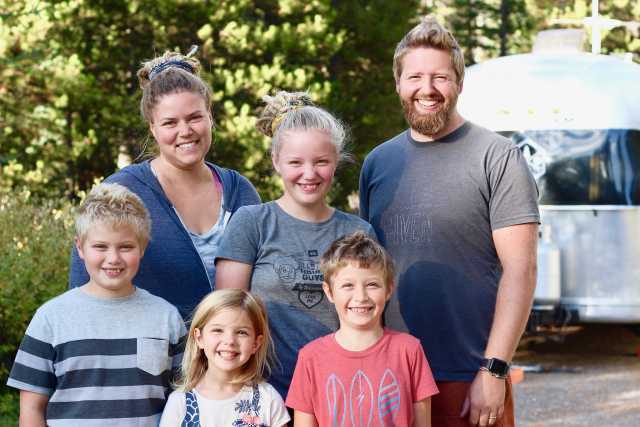 Over the last three and a half years we’ve camped on beaches, in the rainforest, under towering pines, in the desert and at the base of some of the most beautiful mountains we have ever seen. What a privilege to call the great outdoors our home and what better way to raise our 4 kids than exploring nature? In fact, we get asked about boondocking so often that we’re working on an entire course that will teach you everything you need to know to camp off-grid. If you’d like to know more, start by downloading our free guide to finding the perfect boondocking spot. Until then, we’ll see you down the road!